Without immediate action, the transport sector’s share of emissions will grow by 100 per cent on 1990 levels by 2020, a new report has shown. 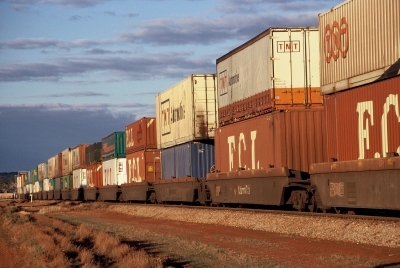 According to the report, published by the Total Environment Centre (TEC), the freight industry is the second-fastest growing source of Australian greenhouse gas emissions, accounting for almost 5.5 per cent of national emissions in 2006. The proportion is set to increase to as much as 13.6 per cent by 2020. The freight sector is currently unprepared for the soon-to-be-introduced carbon economy, the report warned. TEC executive director Jeff Angel said the figures signal an urgent call to the industry for a comprehensive plan to significantly cut emissions. “This is a big problem for the freight industry because business and individual consumers are becoming increasingly aware of the carbon footprint of products. It’s not just ‘food miles’ but also all the other products the freight system carries,” Mr Angel said. The report identified road transport as the biggest contributor, and air transport and light commercial vehicles as two largest emitters per tonne of product carried. Mr Angel said: “Clearly the transport sector, both personal and freight need to be included in an emissions trading scheme and the industry should begin a major adaptation process now. The report said optimising the emissions intensity of supply chain movements will ultimately safeguard forward thinking companies against the various forms of demand risk currently facing freight transport. “For warehouse, distribution centres and corporate offices this will involve maximising the energy and water efficiency of individual facilities. For freight transport this will involve modal switching where possible, fuel switching where possible and maximising the fuel efficiency of vehicle fleets,” the report said. A full report will be issued in the coming week.